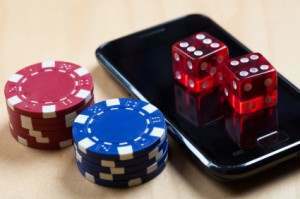 When it comes to choosing casino games to play on your mobile phone or tablet device, the savviest of casino players will stick to playing games from well known and trusted casino game designers and software companies. With this in mind we have chosen to present you the mobile games offered by two of the world’s most respected casino game developers and these two companies are Playtech and Microgaming. To ensure fair play and transparency with regard to their entire mobile casino game portfolios, each and every mobile game they have released has been fully independently certified as fair and completely random. All of the Microgaming and Playtech software powered mobile casino sites listed throughout our site all hold a valid and current gaming license. This means that they are all fully regulated by respected gaming jurisdictions. Remember that a lot of the mobile casino games listed are available to play for free or for real, meaning you can of course test them out with no risk should you wish to see how well any game listed plays and/or pays! If you like playing Microgaming powered casino games then you will find plenty of them are available to play as mobile casino games. For a deeper insight into our top rated mobile casino sites then make sure you checkout the following mobile casino reviews. Progressive Mobile Slots – A couple of examples of the many different progressive mobile slots currently available include Cash Splash and the Major Millions slots. Mobile Video Poker Games – Microgaming have always had a large collection of Video Poker games on offer and their mobile variants of these games include their Aces and Eights game along with the Deuces Wild game. Mobile Video Slot Games – There are certainly no shortages of mobile slot games available at Microgaming powered mobile casinos and if you like playing these types of slots look out for the Agent Jane Blonde slot along with the Tally Ho game. Mobile Card and Table Games – You will always find the Mobile Card and Table games offered by Microgaming mobile casino sites come with very low house edges, and a couple of this category of game to look out for include the European Roulette game and the European Blackjack game. Variety Mobile Games – Should you fancy playing something a little more unique, then Microgaming’s variety mobile games are always worth a look, and these games include such gems as Keno, Scratchcards and the Royal Derby horse racing game. Play MicroGaming’s Mobile Casino Games – Click Here! There is a lot to like about Playtech casino games and player’s have enjoyed playing the wide and diverse range of slots from this leading software provider for years now at online casino sites. However thanks to the technical knowhow of the team at Playtech a huge number of their portfolio of online casino games have now been made available to anyone with a Tablet or mobile phone. Progressive Slot Games – The sky will be the limit if you decide to play any of the progressive jackpot awarding slots at a Playtech mobile casino site, a couple of good ones to look out for are the Gold Rally slot or the easy to play Safe Cracker slot. Video Poker Variants – Playtech have certainly made sure that you will get access to one of the best Video Poker games they offer should you play at a mobile casino using their mobile casino gaming platform, and this game is of course the Jacks or Better game. Bonus Slot Games – For mobile video slot games that can award you with free spins then make sure you try playing the Desert Treasure slot or for a slot boasting a special picking game the Frankie Dettori themed Magnificent 7 slot is always worth a try! Card and Table Games – As well as a low house edge Blackjack games you will also be able to play a single zero European Roulette game at all Playtech powered mobile casino sites. Arcade Games – A couple of the Arcade type games you will be able to get stuck into playing at our reviewed mobile Playtech casino sites include the Pop Bingo game and the potentially high paying Keno numbers picking game. Play PlayTech’s Mobile Casino Games – Click Here!